Farfel’s in trouble again in this short story with comics from Farfel and Bob! 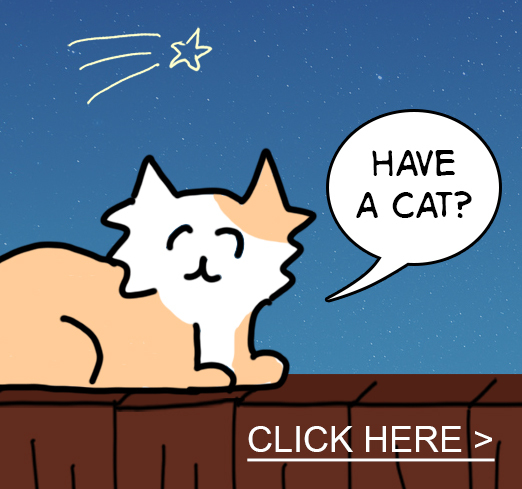 A gratitude comic for the season, featuring Rooster the kitten! Farfel’s on a mission to get his cat lady’s attention, but can he get her to do what he’s really after?